Clear boxed version, custom color bottom, ribbon and personalized tag :) Each 2 inch votive has a hand burned on image, boxed in a clear 2x2x2 box, based placed in each box to secure the candles in place (tan, gold silver or color) wrapped in the bow color of choice and finished with a custom card stock card attached to the top of each favor ! $2.50 each. please leave customizations in comments section when checking out. 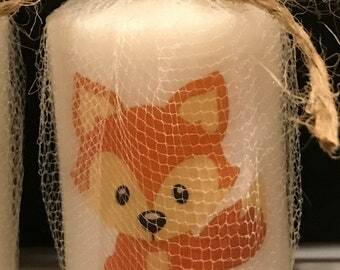 These candles are exactly as described and just what I wanted for the shower I'm hosting. They arrived very quickly and were packaged so carefully... each one was in perfect condition. I am very happy with the order and am sure they will be a big hit at the shower. Thanks!!! 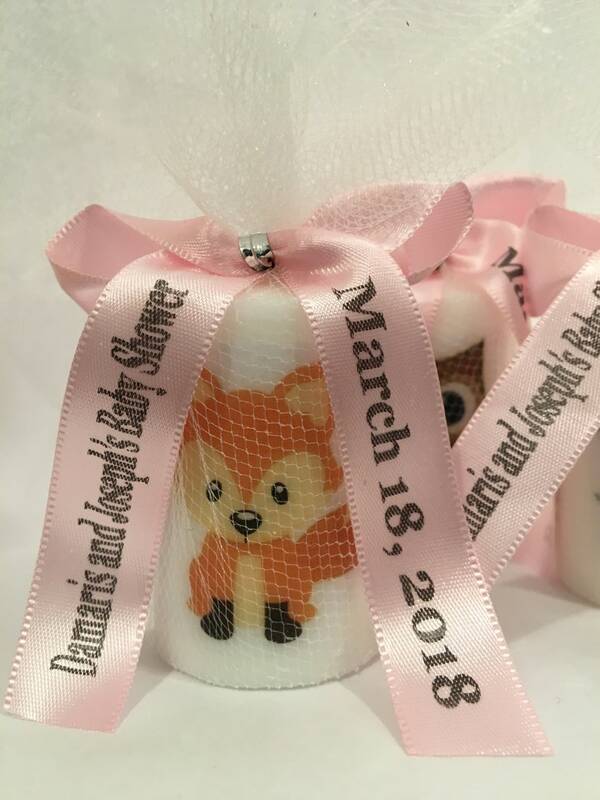 Darling candles and just perfect for our woodland theme baby shower party favors. I added personalized tags which was very easy to do. The seller was great to work with. Absolutely adorable!! I can’t wait to display at my daughters shower. Thank you so much! !